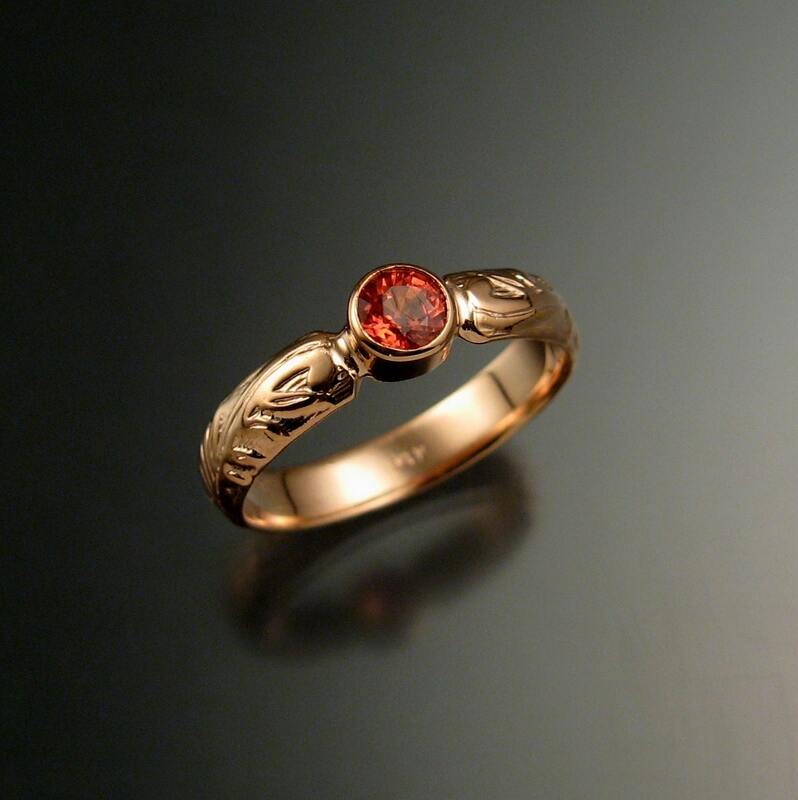 This pretty ring has a Victorian antique look with a 4mm round natural Orange Sapphire from Ceylon. My husband gave me a lovely little velvet ring box to open today after the mail arrived, and I have never been more surprised. 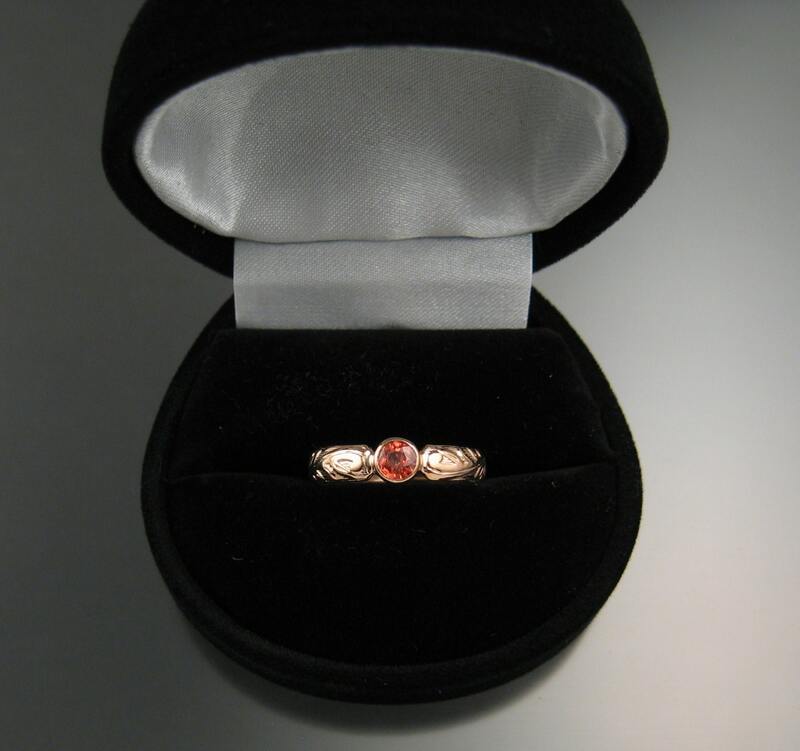 This was his Anniversary gift to me, and when I saw this gorgeous ring I was speechless with delight and very touched. 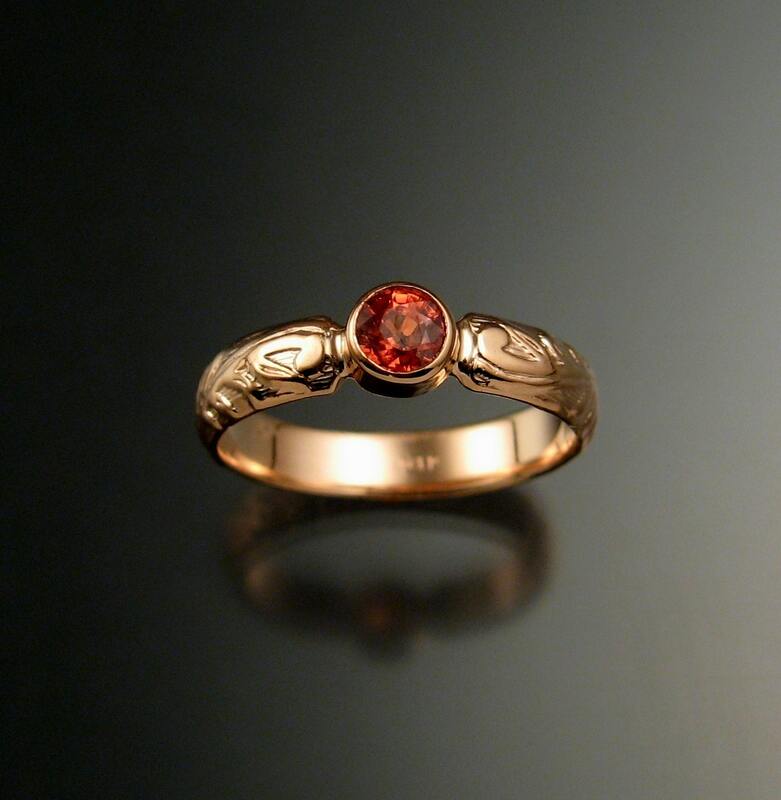 This is an exceptionally unique and well crafted ring, and could not have been more perfectly presented. My husband said that Graham helped him pick the stone and shipped the ring much more quickly than he expected. We are both very satisfied and happy. Thank you, Graham! You are a true artist and I must add my heartfelt gratitude for your help to my husband. 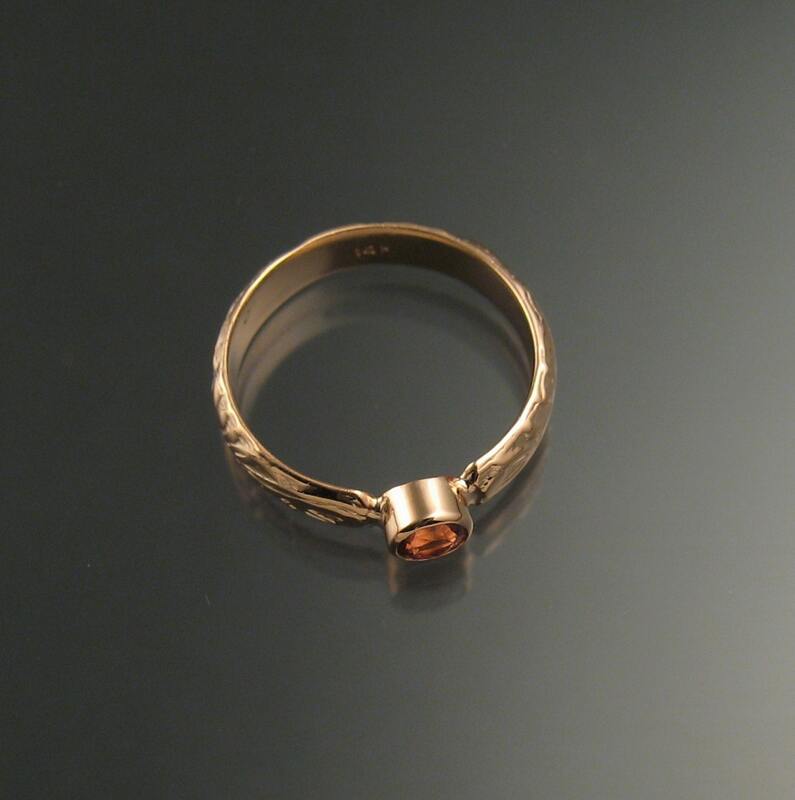 This ring is lovely and arrived in a reasonable amount of time. It is light and perfectly detailed. 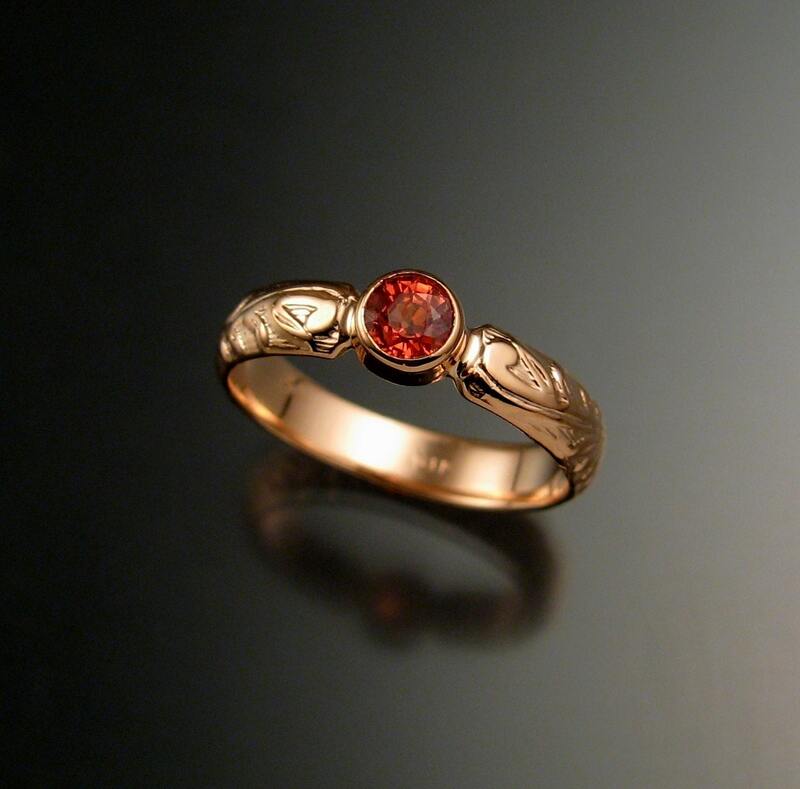 It was a custom stone choice, so I am grateful it could be made. Thank you!